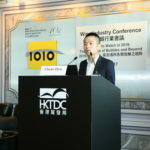 We live in exciting, and uncertain times – and the global wine industry is experiencing an unprecedented array of challenges and opportunities in its main consumption markets. The changing of the guard from the generation brought up in the 1960s and 70s towards ones who have come of age around the turn of this century is driving all kinds of new behaviours – sparkling wine, premiumisation – and new challenges such as craft beer, gin and abstinence from alcohol altogether. The Wine Intelligence Reports Shop, the world’s leading source of syndicated consumer research about the wine category, will be tackling some of these major themes in 2018 in an expanded list of reports covering more markets than ever before. As Wine Intelligence continues to expand the reach of our Vinitrac® Global omnibus consumer survey waves, so our Sparkling report series continues to grow. With a dedicated Sparkling survey running in May 2018, Reports Shop will publish a series of reports focused on the fastest growing wine category. The German, Brazilian, Chinese and Italian Sparkling wine markets will come under the scrutiny of our analysts for the first time, while we will provide updated analysis of the category and its performance in the UK, the US, Australian and Japanese markets. Our Wine Intelligence Landscapes reports, which provide detailed and comprehensive insights on key markets and consumer wine drinking habits, consumption and retail trends, continue to play a key role in Reports Shop. 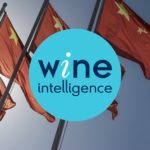 Now covering 27 markets, from the largest wine markets in the world to emerging players in Asia and South America, Wine Intelligence this year will also publish updates on the Swedish, Portuguese and Belgian wine markets. We continue to grow our global expertise with the publication of our first ever Finland Landscapes report. When it comes to our Consumer Segmentation reports, we will also publish our first segmentation analysis of German wine drinkers, featuring behavioural and attitudinal segmentation of wine drinkers based on their relationship with wine. Other markets scheduled to undergo our analysis, a blend of cluster analysis and in-depth consumer interviews, include the US, UK and Australia. 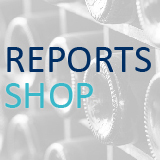 In addition, Reports Shop will be boosting our focus on the UK market with three new reports: the UK Label Design, UK Flavour & Varietal Preference, and On-trade Trends in the UK Market will join our UK Landscapes and Portraits reports and provide a holistic overview of the UK wine market in 2018. The spotlight will also be turned on the German wine market, also with three new reports. In addition to Germany Portraits 2018, we will also release a Germany Label Design report in Q1 and Sparkling Wine in the German Market in Q3. Fast forward Ready to pop?